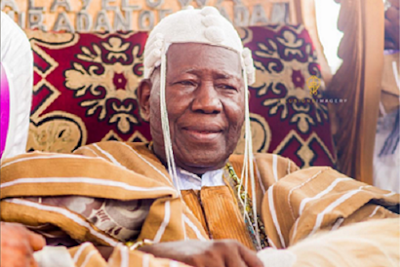 The Olubadan of Ibadan land, His Imperial Majesty, Oba Saliu Akanmu Adetunji, yesterday explained that he would celebrate his 90th birthday anniversary on August 26 this year because his late father who died in 1989 did not live up to 90 years. The first class monarch stated this at his Popoyemoja, Ibadan palace while inaugurating a 16-member birthday anniversary committee led by former Minister of Special Duties and Sport, Prof. Taoheed Adedoja. Oba Adetunji, who noted that to live long in life, is not a right but a privilege, stated that his intention is to use the birthday anniversary to celebrate Ibadan and its diverse people and to pray for the unity and stability of Nigerian nation. The Olubadan stated that even though he comes from a family with an impressive record of longevity, his late Dad, Raji Olayiwola who passed on in 1989 lived up to the ripe age of 89 and as such, God deserves to be praised. The Olubadan who entertained no illusion that the responsibility ahead of the birthday anniversary committee is onerous noted that he had no doubt about the integrity of all the committee members.